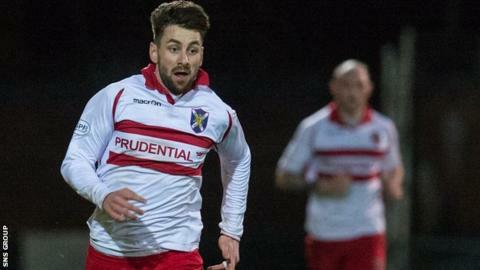 Darren Smith celebrated a four-minute hat-trick in Stirling Albion's 7-0 win over Montrose on Tuesday. But the 27-year-old's second treble of the season is not the quickest in the Scottish senior ranks. That record still stands with Queen of the South's Tommy Bryce, who scored three of his four against Arbroath in one minute, 46 seconds in 1993. And just last season Genero Zeefuik took three minutes, 35 seconds to knock in a hat-trick for Hearts. That was in a 10-0 demolition of Cowdenbeath. Going further back, former Liverpool and Scotland striker Ian St John was forging a reputation at Motherwell when he scored a hat-trick in two minutes, 30 seconds against Hibernian in August 1959. The world record for the fastest hat-trick was also set in Scotland and came five years later when Tommy Ross scored three in a mere 90 seconds for Ross County. The Dingwall outfit were then a Highland League side and Ross scored seven that day against Nairn County. While not the quickest, Smith was still very pleased with his night's work for the Binos. "It's quite a feat," he told BBC Scotland after scoring twice before the interval then 40 seconds into the second half at Forthbank. "I didn't realise at the time how quick it was, with half-time coming in between. "I scored a hat-trick earlier in the season, which was the first of my career, to get another one is amazing."